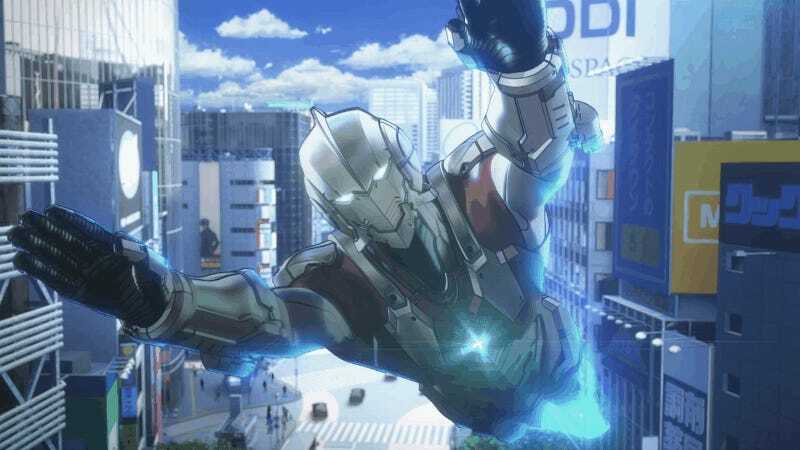 This week, Netflix released Production IG’s animated adaptation of Ultraman, bringing one of the most unique takes on the Japanese icon to life in a fascinating new way. Now that we’ve had time to watch the first season, here’s our roundup of what we loved...and a few things that didn’t quite work out. 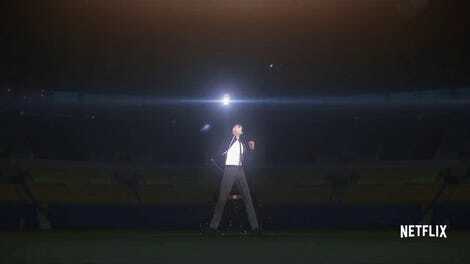 I love how weird and alien this fight scene is for Shinjiro. In a world where superheroes are punching each other and ginormous foes to the tune of billions at the box office on a regular basis, the “guy in a rubbery suit” action of Tokusatsu TV shows like Ultraman’s predecessors might come off as a bit quaint in comparison. But the Ultraman anime marries the old-school vibes of its source material with some truly incredible fight sequences that are fast, frenetic, and full of genuinely jaw-dropping bits of spectacle. They don’t come perhaps as regularly as you might expect from an anime based on an iconic “monster attack of the week” show, but when they do, they are consistently a delight. Seriously, if you take anything away from this: Watch the fourth episode of this series, which sees Shinjiro go on his first “real” mission to hunt down and eliminate a rogue alien killing and feasting on innocent humans in secret. 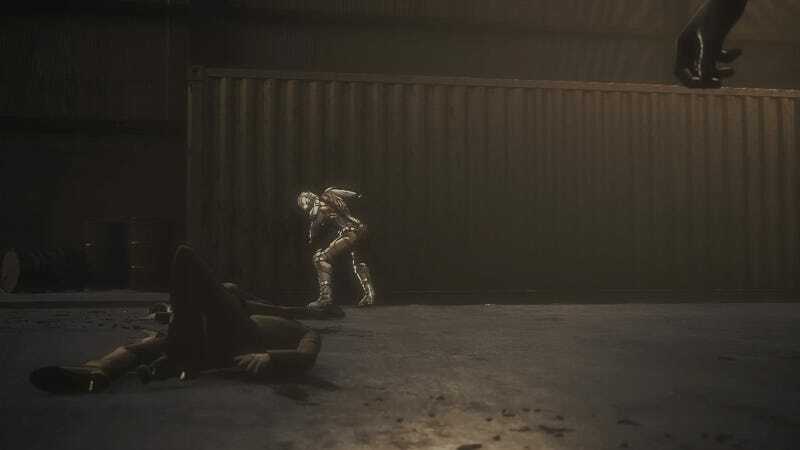 The alien itself gets some incredibly inventive fight choreography that looks truly alien, and it’s the sort of thing that can only be done in animation. It’s a great episode of growth for Shinjiro that culminates in some very satisfyingly badass moments, and is one of the most fun episodes of TV I’ve seen so far this year. Ultraman Seven and Ultraman Ace go toe to toe. Who do they think they are, Kamen Riders or something? It’s almost unfair to count this as a positive for the anime considering it’s something the manga it’s adapting does, but still. 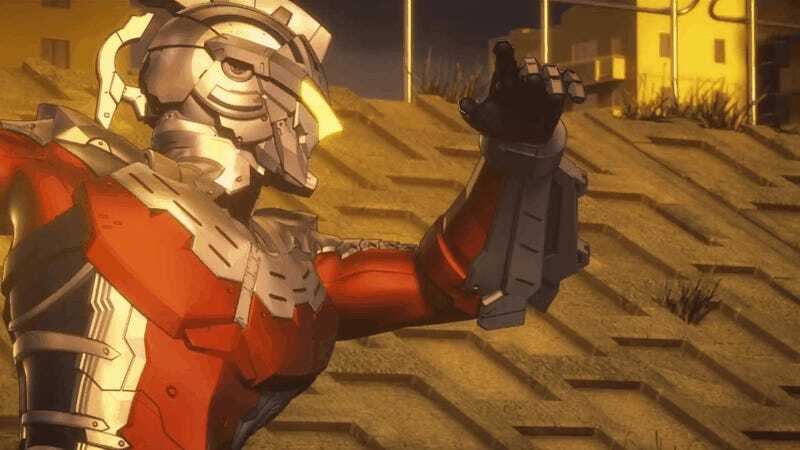 The way Ultraman weaves itself into Ultraman’s legacy at large, despite essentially being a sort of reboot that establishes itself as a direct sequel to the very first Ultraman TV show, is still a delight in the anime. While it does this in cute, small ways (like being packed with alien creatures inspired by classic Kaiju designs from the original show), it’s most interesting in how it acknowledges the stars of Ultraman series beyond the original show and incorporates them into the new narrative revolving around Shinjiro. Over the course of the season, Ultraman introduces us three important characters who are actually already familiar to Ultraman fans: Dan Moroboshi, Seiji Hokuto, and Jack. While they’re all different from their inspirations in some key ways (especially Jack, whose story as a mysterious human who chooses to live among the aliens existing in secret in Tokyo is being mostly saved for a second season), they’re all actually stars of old-school Ultra series. Dan is the hero of Ultra Seven, the second Ultraman show—except the twist is that instead of being an alien in disguise as he was in Seven, he’s a human who wants to prove that you don’t need Ultraman’s powers to get the job of defending the Earth done. Seiji, meanwhile, is one half of the protagonists from Ultraman Ace—and instead of fusing with his partner Yuko to become Ultraman Ace as he did in his TV series, here he’s a human teen given cybernetic limbs after a horrifying plane disaster, who wants to become Ultraman to save the lives of the aliens living among humanity. Jack, who in the anime acts as Dan’s informant among alienkind, is actually based on the star of, err, Ultraman Jack. You see what they did there! It’s an interesting way of incorporating the heroes of Ultra series beyond the original TV show. 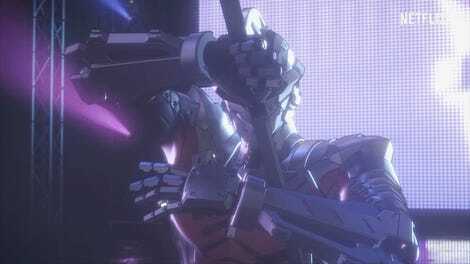 But the way the anime uses these characters, Dan and Seiji in particular, to inform Shinjiro’s arc—as he grows from naive young teen to someone assured enough in himself to take on the great responsibilities of what being Ultraman means—provides not just fun fanservice for diehard followers of the wider Ultra saga, but some compelling conflict that really plays to Ultraman’s strengths as a more nuanced and complex take on the usually more clean-cut moralities of the Spandexed superheroes who came before. Not quite skyscraper-sized, sure, but that’s some goddamn Ultraman right there. 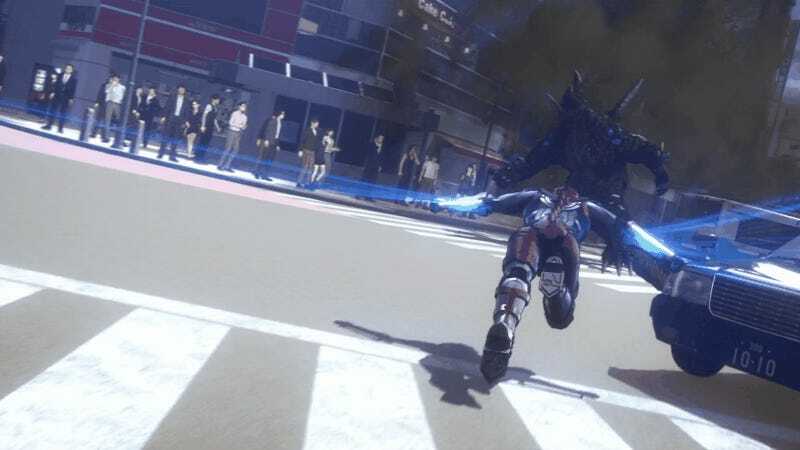 One of the biggest divergences that Ultraman—and the manga it’s based on—takes is that Shinjiro’s incarnation of the hero is as a human-sized man in an Iron-Man-esque suit of armor, rather than a hero who grows to the size of a skyscraper to punch equally scale-defying monsters. And while Shinjiro and his fellow Ultramen go on to face some larger-than-life foes by the end of the season, none of them are exactly giant-sized in the way you might expect of an Ultraman show. And yet, Ultraman still does a lot to feel like its Tokusatsu predecessors—not just in its homages to the series that came before, but even details like having moments in fights actually based on choreography from motion capture actors, leading to moves and moments that feel like they’ve been ripped right out of any Ultraman or Super Sentai series. Even the way the internal conflict between Shinjiro, Dan, and Seiji plays out (including the inevitable scraps between each other to see who the better Ultraman is) feels evocative of the best dramatic Kamen Rider rivalries, a series almost defined by conflict among its main heroes. Ultraman might do a lot of things differently, leveraging its CG animation for the sort of action sequences and effects its live-action progenitors can’t, but it’s still evocative enough of the Tokusatsu series that inspired it to feel like a part of the same legacy of slightly goofy, live-action superheroics that fans know and love. Shinjiro takes some time to get his footing. The curse of being an adaptation rears its head early on in Ultraman, which simply just takes too long to get going. In its attempt to condense the early chapters of the manga down into the opening trio of episodes, it creates a first impression that feels like it both takes too much time to get the ball rolling while not spending enough time elaborating on really introducing us to Shinjiro as a person beyond being his father’s son. In part, this is because the series spends the entire first episode establishing the premise that Shinjiro’s father Shin was the human partner Ultraman bonded with in the series’ past, and has since lost his memories until the realization that he and his son have superpowers triggers their re-awakening. But the show skips about too much while establishing this conceit; it’s only by episode four that you feel like things really kick off, after Shin’s past as Ultraman is established and Shinjiro is inducted as his successor to the mantle. Ace Killer and his gang of rogues make for a lacklustre season-ending threat. Seiji’s arc in the back half of the season as Ultraman Ace combines with a really interesting twist—the actual last-minute reveal of the season that Bemular, the villain Shin and Shinjiro scrapped with in the opening episode, who’s set up as pulling the strings behind conflicts across the whole season, isn’t actually a bad guy and has been guiding Shinjiro’s growth as an Ultra-gene-enhanced being. But while the twist itself is intriguing, it means that the true conflict of the season is ultimately...a bunch of faceless alien mercenaries who come out of nowhere, to be revealed as hitmen who tried to kill Seiji in the same plane disaster that triggered Shin’s Ultraman memories a decade before the events of the series. Rushing through Seiji’s arc in the last few episodes means there’s no real time to set up the presence of these mercenaries (lead by Ace Killer, another nice nod to the actual Ultraman Ace show), so by the time it comes to the last episode of the season, they’re introduced and dealt with in a single 23-minute episode. That it also must serve as the climax of the entire season, when Shinjiro’s powers reach their true potential and he becomes innately capable of firing off Ultraman’s iconic Specium Ray attack, is kind of a huge bummer. Rena’s clunky transition from key character in the first arc to throwaway love interest is handled very poorly. Ultraman is at its best during its more serious moments, especially early on when the existence of aliens among the general populace of Tokyo is something the Science Special Search Party (SSSP) is trying to keep under wraps. It creates a tension and darkness that offers an interesting contrast to the “giant hero vs. giant monster” simplicity of its progenitor series, one that the show sometimes intriguingly explores as Dan in particular tries to convey to Shinjiro that there’s a lot more at stake when it comes to being Ultraman than just the public accolades. So when it begins to diverge from that in the back half as it recenters Rena—the idol at the center of the murder mystery that serves as the opening arc of the season—as an awkward love interest for Shinjiro to chase after in his spare time, there’s a sudden veering of tone that never really sits quite right. One minute, you’ve got aliens carving bloody paths through humans. The next, awkward anime teen conversations about how ditzy Rena is! There’s always going to be a place for some silliness in a world like Ultraman’s. It is, after all, about a (formerly) Spandexed superhero who wrestles (formerly) giant alien kaiju for a living. But the way the show awkwardly darts between the hyperviolence Shinjiro, Dan, and eventually Seiji face as the Ultramen, and the clunky attempt at a romantic subplot between Shinjiro and Rena in the back half, makes for a weird vibe at times. It never really gels—especially considering the show just ships Rena off to America at the end of the season, making her arc with Shinjiro feel inconsequential.